When some are considering updating their iPhone 8/8 Plus/X/7/7 Plus/7s/6s/6 Plus/5s, iPad or iPod to iOS 12/11.4/11.3/11.2, others have been regretting doing so and complaining about its problems that exist almost everywhere on their devices. 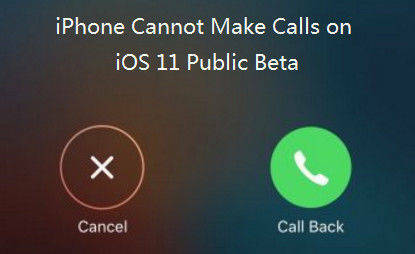 Reportedly, iOS 11 and iOS 12 has caused many iPhone users to be troubled by the sound problem during phone calls. Whether they were receiving calls or calling others, no sound would come out of the receiver whatsoever. And this problem happened only during incoming or outgoing calls. If this sounds like you, you have come to the right place for the perfect and easy fix for your problem. 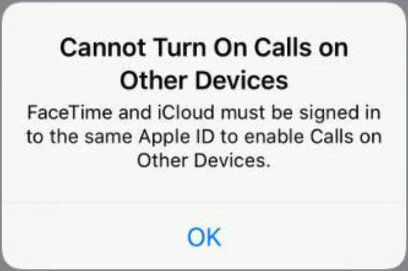 Read this article to learn how to solve phone calls with no sound on iOS 12/11.4/11.3/11.2/11.1/11. Silly as this solution sounds, it could work in some cases, especially when your iPhone has dirt inside the receiver after it has been used for a long time. In this case, a slim and pointed toothpick or any other similar stuff could do the trick, as long as they are not made of metal. Dig out the dust or dirt that has been gathered in the receiver, and try dialing again. This may work when you have turned down the volume of your iPhone to better listen to music or watch videos using EarPods before you answer or make your calls. Try raising the volume by pressing the volume up button when you hear no voice from the receiver of your iPhone. Probably it may save you from trying other more complicated methods. The following situation is common: you came home and then your phone rang. You tapped to receive the call, but heard no sound from the receiver. And after you spent an hour to exclude all possibilities of the problem, it turned out that it just had been your Beats Solo3 Wireless at the table that had been automatically connected to your iPhone 7 Plus unnoticed via Bluetooth when you came home. If this is really the case, you should switch off your Bluetooth to disconnect your device with the wireless headphone. Go to Settings >> Bluetooth, or just swipe up to display the Control Center to turn off the Bluetooth. By rebooting your iPhone, you can fix many iOS issues on your iPhone, including the no-sound issue during phone calls on iOS 12 and 11 or later. Press and hold down the Volume Down button (the home button if your device is iPhone 6s or earlier) and the sleep/wake button at the same time, and let go until you see the Apple logo appear. Probably, all the above ways may fail to turn your no-sound iPhone back to normal. If so, you may consider repairing the iOS using Tenorshare ReiBoot. This software is easy-to-use and helpful in solving all kinds of iOS problems including the latest iOS 12, and probably including no sound on iPhone during calls on iOS 12/11. Step 1: Connect your device to Tenorshare ReiBoot. Choose "Fix All iOS Stuck" >> "Fix Now". Step 2: Click on "Download" to enable Tenorshare ReiBoot to download the matching iOS firmware. Or you may click on "Select" choose the firmware already downloaded in your Windows/Mac. Step 3: When the download is completed, click on "Start Repair" to repair iOS 12/11. Then your iDevices will be repaired successfully. 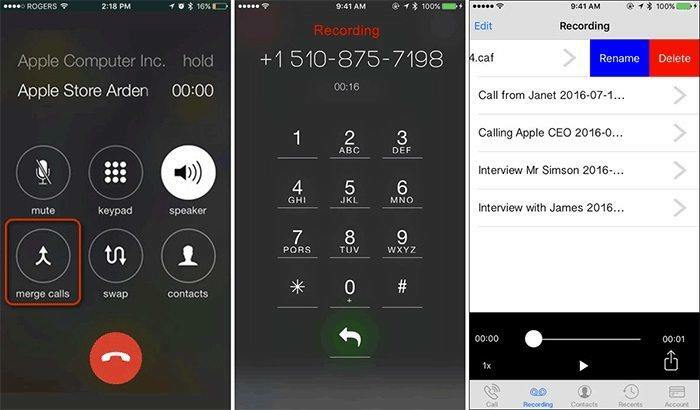 This article recommends several tricks to troubleshoot the no-sound problem during phone calls on iOS 12/11.4/11.3/11.2/11, including the handy software Tenorshare ReiBoot, which helps to repair your iOS easily without causing any data loss to your iPhone.